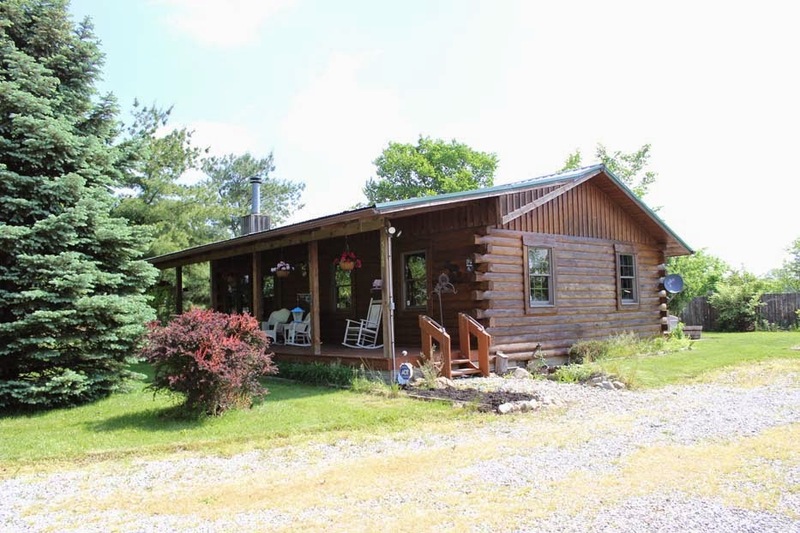 Charming log home on 5 acres with large front porch! Great Room has brick wood-burning fireplace. Open Kitchen with granite countertops. Hardwood floors throughout. Screened porch! Huge outbuilding boasts three overhead doors, Billiards Room or Office Space, wood-burning stove with raised hearth, 220 volt electric service & storage loft. Private setting close to shopping and highways. Must see to believe! 3 BR’s & 1 full Bath! Nearly 1,000 SF! South Western schools. Only $249,950! Call DeLena today!